As we make the transition from the fall cross country season into the winter/spring track and field season, let's take a look back at the 2018 T&F season while also attempting to project toward 2019. This article focuses on two freshman classes, reminding you of what the Class of 2021 did on the track last spring as well as what the Class of 2022 did on the XC course in the fall. 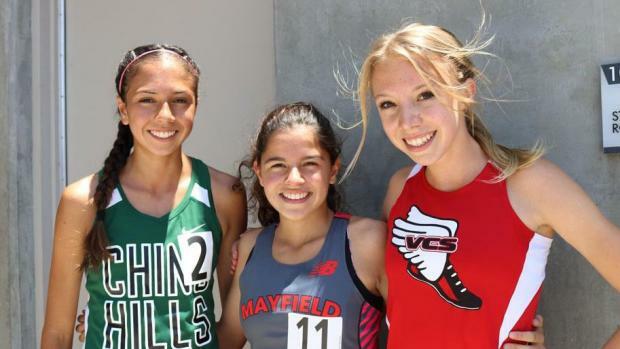 While we only have distance data for which to project the current freshman class into the spring, it was the distance athletes -- specifically the girls -- who excelled at the highest level on the track last spring where Jacqueline Duarte (Chino Hills/SS), Audrey Suarez (Mayfield/SS) and Mia Barnett (Village Christian/SS) went 3-5-6 in the 1600 meters at the State Final! Jacqueline Duarte was 21st in the D-I XC final, running 18:19.90 in her only 5K. On the track, the former soccer player ran the 3200 only once while focusing on the shorter distances. She ran an 800-meter PR of 2:14.86 and a 1600m PR of 4:44.87 achieved for third at the State Meet final. At the 2017 XC final, two 2021 freshman girls were among the leaders in D-II: Jill Walker (Simi Valley/SS) and Amber Rios (Colony/SS). Walker ran the Woodward Park 5K in 18:11.00 and Rios crossed in 18:17.70. Walker, whose 5K PR as a freshman was 17:56.30, went on to run 10:42.30 PR for 3200, 5:17.31 for 1600 and 2:21.99 for 800m. In the spring, Rios PRed at 5:10.87 for 1600, the only track event where we have marks. In Division IV, Audrey Suarez was third overall in 18:04.10 (and had a PR of 17:50.30). She ran 10:29.60 in her only 3200, 2:13.38 for second in the Southern Section 800 final, and 4:47.83 as her 1600 PR. In the 2017 Division V XC final, San Diego Section champion Alaina Zamorano was the top freshman finisher, placing sixth in 18:33.50. Mia Barnett was 12th in 18:58.70. Zamorano ran 11:18.11 for 3200 last spring, 5:12.53 for 1600 and 2:32.10 for 800. While Barnett's finish wasn't as strong on the XC course, she excelled on the oval: 2:15.31-4:46.77-10:27.82. Only two 2021 freshman girls ran sub-18 minutes for 5K with 20 sub-19. There is no YOY comparison for the outlier that is Chamberlain (pictured), who will be fun to track on the oval. Can the other five girls who ran sub-18s project to the type of success on the track that we saw from Duarte, Suarez and Barnett? Those 2022 girls' level of success in XC seems to project to more of the same this spring. But it's such an inexact process, this attempt to compare the performance art form that is XC with what can be the grind of monotonous laps on the oval. Duarte, Barnett and Suarez ranked 1-2-3 in the U.S. in the class for 1600. But XC times didn't necessarily project to that level of success. Barnett, for example, ran a PR on the course of 18:58.70 and then ran the No. 2 time in the class for 1600 meters. Suarez was the only one of the three to run 5K in sub-18. Duarte was 18:19.90. 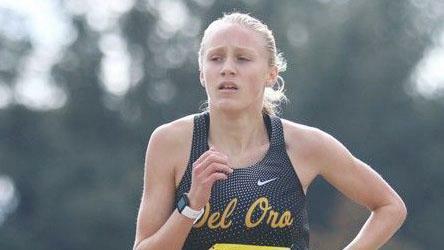 To wrap this up, let's compare the freshman 5K PRs of those three with that of 2022 girls. In summary, while we can easily say the distance depth of the 2022 girls far surpasses that of the 2021 girls, we can only speculate on if the XC performances from the fall project to medals this spring. The following links are to the MileSplitCA All-State Freshman teams for 2018 track (Super 17) and XC, as well as to the top freshman in every T&F event from last spring.